From creamy to salty and everything in between, our extensive line up of Canadian cheeses offers savoury, mouth-watering selections that elegantly feature Canada’s diverse culture. From the salty air and iron-rich soils of P.E.I to the rolling green fields of Quebec, our Canadian cheeses offer versatile flavours that perfectly pair with your favourite snack, meal and wine. Experience the finest in Quebec cheeses with brands including Bio Bio, Grok, Fromagerie du Presbytère, Fromagerie Blackburn and more. For a more daring and rich taste, choose from our Ontario, Manitoba and British Columbia brands including Jensen, Gun’s Hill, Blyth Farms, Bothwell and Salt Spring Island. We also offer P.E.I’s famous and popular COWS Creamery cheese that boasts succulent flavours including Avonlea Clothbound Cheddar, Appletree Smoked and Extra Old Cheddar. Other Canadian brands that Glen Echo offers include Natural Pastures, Fromagerie de l’Île-aux-Grues, Fritz Kaizer Cheese Factory, Fromagerie La Station de Compton, Chalifoux and Fromagerie Perron. Committed to offering superior taste and fresh regional flavours, France masters fine cheeses that keep your taste buds tingling. One of the largest collections of cheeses in our inventory, we guarantee a perfect flavor and preferred brand for you. Whether you are in the mood for a fruity, nutty or buttery tasting treat, brands like Château de Bourgogne, St. Agur, Brie de Meaux and Momilette offer these quintessential flavours and more that leave you craving more. Specializing in cheeses prepared from goat’s, cow’s and sheep’s milk, we invite you to experience traditional textures and rich aromas that can be enjoyed before, with or after your meal. 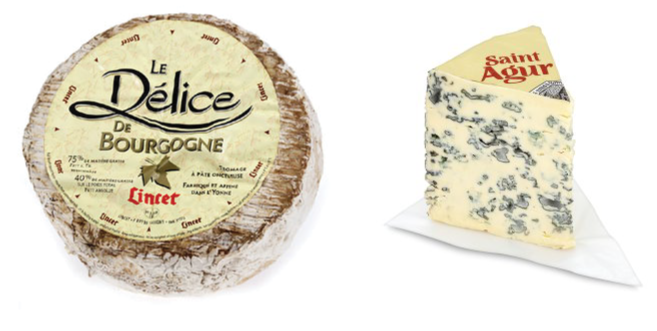 Other French brands that Glen Echo offers include Juraflore Reserve Comte, Delice de Bourgogne, Morbier Arnaud Reserve and Ossau Iraty Onetik. Renowned for their simple yet striking flavours and dedication to high-quality natural produce, our English and Scottish cheeses always impress. Exploring the rich, authentic and rustic flavours has never been so satisfying and complementary than with our English and Scottish cheeses. Enhance your sandwiches and salads with savoury aromas of nuts and caramel or spread flavours of butter and mustard seed on your favourite piece of grain toast. Choose from our popular selection of English and Scottish cheese brands including Scottish Smoked Applewood, Whiskey Cheddar, Red Leicester Stevenson, Red Dragon and Wensleydale. Rolling green pastures to mesmerize your eyes. Rich and creamy cheeses to tantalize your taste buds. Experience distinct Dutch flavours with brands like Old Amserdam, Cantenaar, Beemster and Picobello. Radiating robust personalities, enjoy cheeses of a variety of flavours and textures. Picobello offers a crumbly gouda-style Dutch cheese with sweet notes of caramel and roasted nuts. With Beemster cheese you can expect rich, local flavours that are perfect for snacking or cooking. Swiss brands such as Kaltbach, Emmentaler and Raclette balance the Dutch styles by offering soft, medium and hard cheeses perfect for any platter. 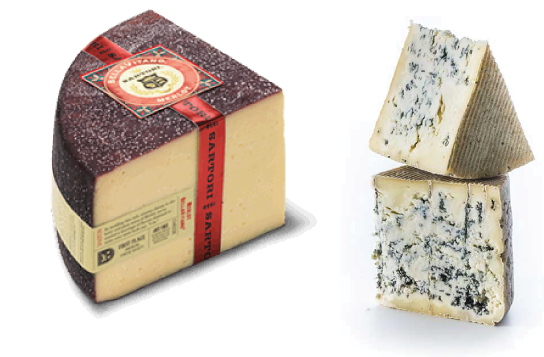 Enjoy a German specialty with Cambozola blue cheese and taste the richness of a triple cream, brie-style blue cheese made from pasteurized cow’s milk. Our Dutch, Swiss and German brands promise to offer a delicious experience. Experience the timeless romance of Spanish and Italian culture through our aromatic and full-bodied cheeses. A dynamic blend of fresh, cured and artisan creations make up our collection of fine Spanish and Italian cheeses. Italy’s loyalty to the tradition of feeding cows on natural local fodder in permanent meadows results in creamy and fresh tasting cheese styles including Regiano Parmesan, Tartufo and Asiago. Sprinkle these cheeses on your favourite pasta or shave them on top of a hot soup for a delightful twist to traditional dishes. Straight from the historical region of La Mancha, Spain, Manchego cheese is made from the unpasteurized milk of sheep and is recognized for its firm outer consistency and buttery interior texture, while boasting complementary flavours of fruit and nuts. Rich and creamy with distinct flavours that match the strength and diversity of the illustrious country. Sun kissed farms and fresh cow’s milk are what give our American cheeses their rich and flavourful characteristics. Merlot Bellavitano, Point Reyes and Rogue Creamery make up our exclusive selection of specialty American cheese brands. Crave the creamy layers of full flavored Point Reyes cheeses and taste the rich blend of butter and plum with Merlot Bellavitano. Whether you like salty or sweet, these mild and mellow creations pair perfectly with your favourite sweet fruits and savoury dishes. Experience dairy creativity with Rogue Creamery and try their spicy Habanero Cheddar cheese or their aromatic Lavender Cheddar cheese. The possibilities are endless.